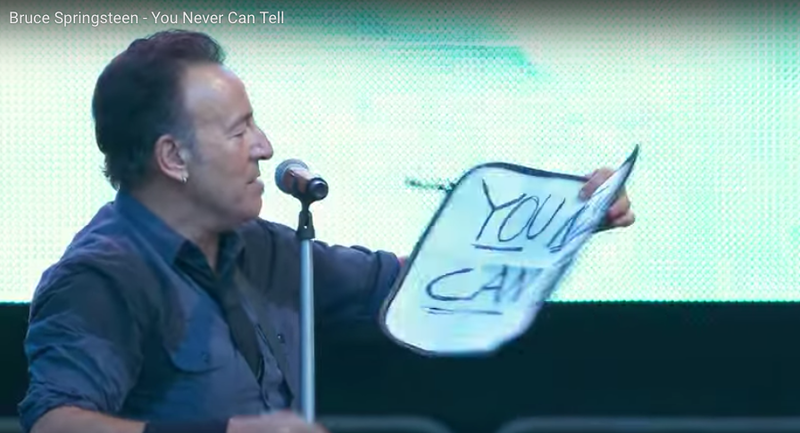 Pillar to Post: AMERICANA / WHO HAS MORE FUN THAN BRUCE SPRINGSTEEN? AMERICANA / WHO HAS MORE FUN THAN BRUCE SPRINGSTEEN? This has been making the rounds on the ‘net. 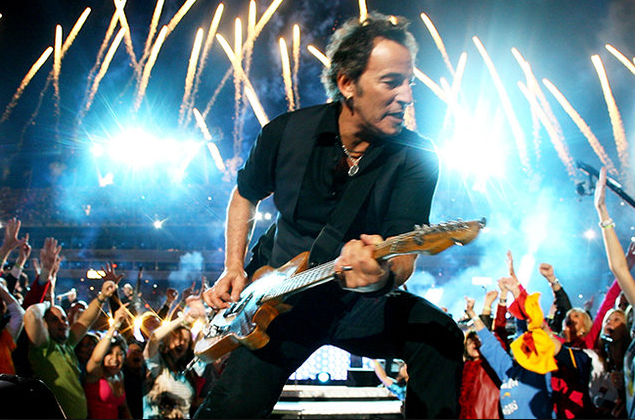 It’s a Vevo Video that drops in on a Bruce Springsteen concert in Germany. Fans passed up a note asking Bruce to play a song he didn’t write. And, it goes to show you never can tell. 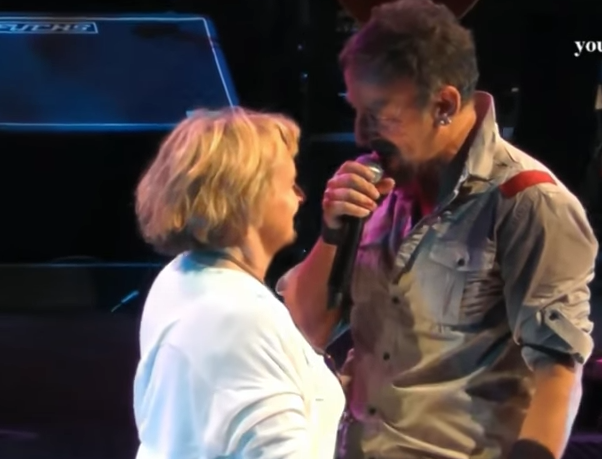 Here's more concert fun with Bruce "Saving the Last Dance" for his mom.